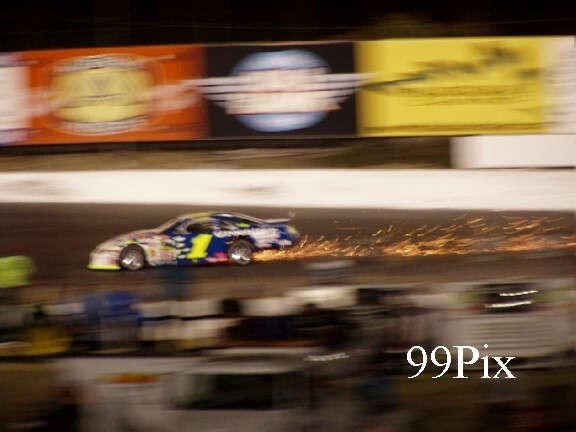 STOCKTON -- Cars spun, crashed into walls and leaked oil all over the track in a slam-bam Southwest Series race. 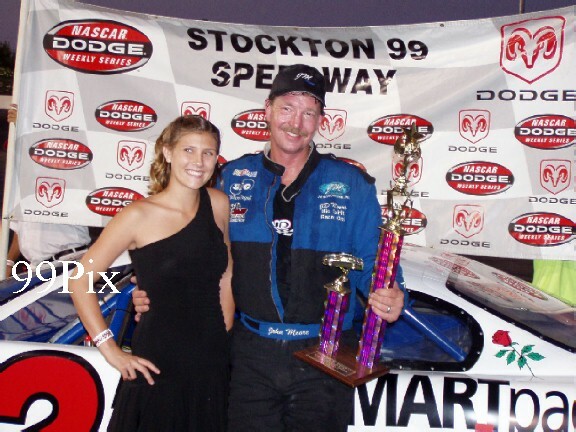 And when the debris was finally cleared, Auggie Vidovich, #11, had won again at Stockton 99 Speedway. 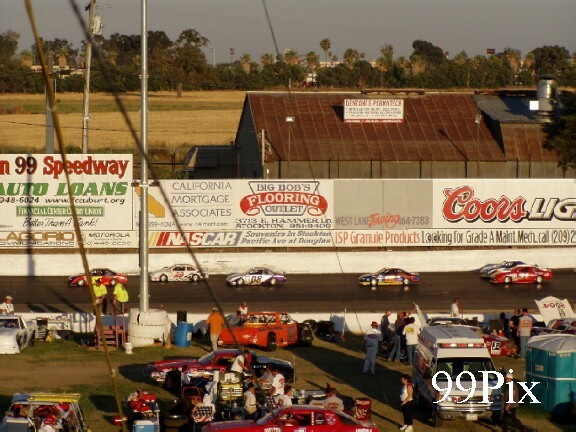 Vidovich led the final 119 of the 125 laps in the NASCAR Touring Series event and took the checkered flag for the second time this season at Stockton 99 in front of a crowd of 3,429 on Saturday night. 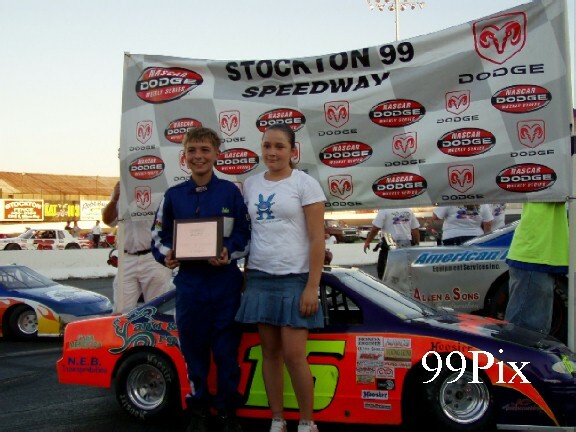 Vidovich also won in Stockton on April 30, but this one was a rougher race. There were a couple of multi-car collisions, five caution periods for a total of 28 laps and plenty of aggressiveness among the drivers. 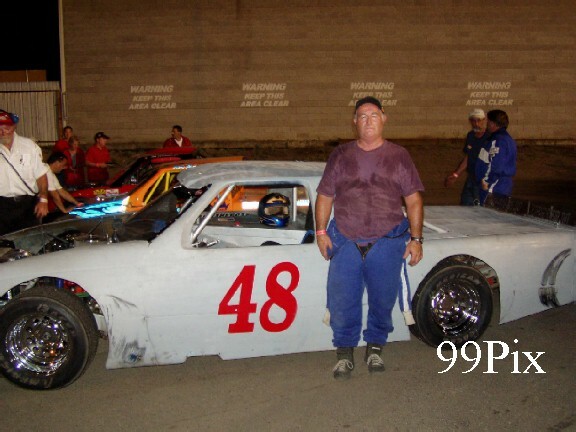 "I'm a little disappointed with a couple of drivers who roughed me up, and we're supposed to be friends," said #03, Jim Pettit of Prundale, the SWS points leader who finished second. He declined to name who those drivers were. Vidovich's best move of the race was getting out front early. 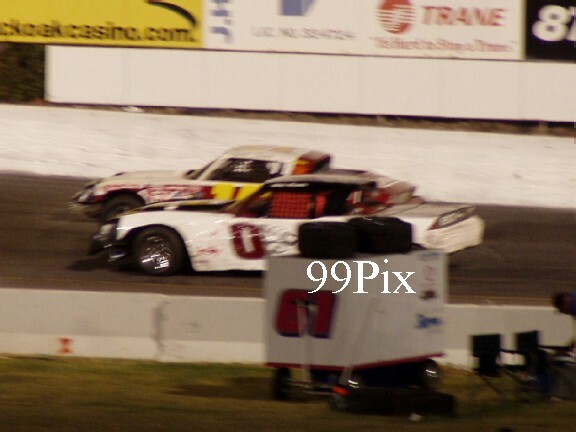 The Lakeland driver passed Jeff Belletto of Modesto for the lead on lap 7. "I just have to give credit to me crew; they've really figured this place out," Vidovich said. "The car was awesome." Vidovich's toughest challenge came from #1, Burney Lamar of West Sacramento, who lost three laps early in the race because of a flat tire. 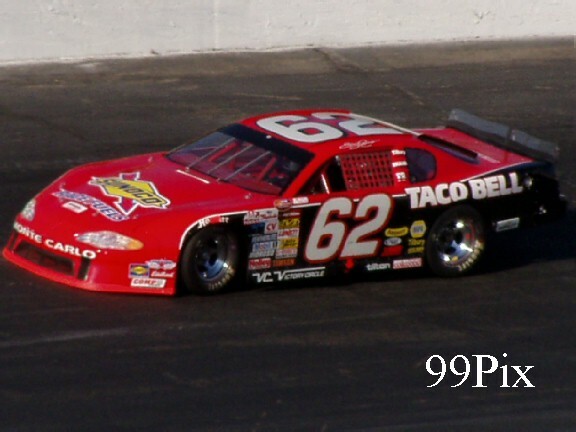 He was next to Vidovich on most of the restarts at caution flags and managed to get two of the laps back and finish ninth. 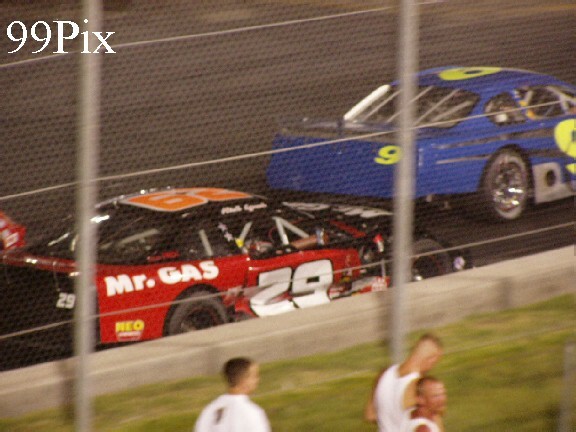 With a few laps remaining, he let Pettit pass him to see if he could mount a challenge to Vidovich. "He knew his night was over with, and being the true sportsman he is, he let me go," Pettit said. 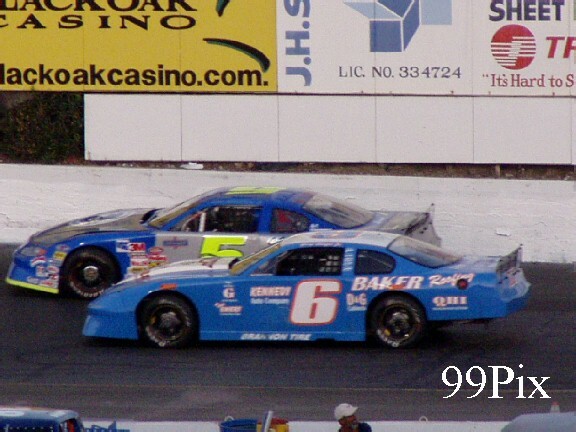 The biggest crash of the night involved #30, Steve and Jeff Belletto, #6, who started next to each other on the front row. 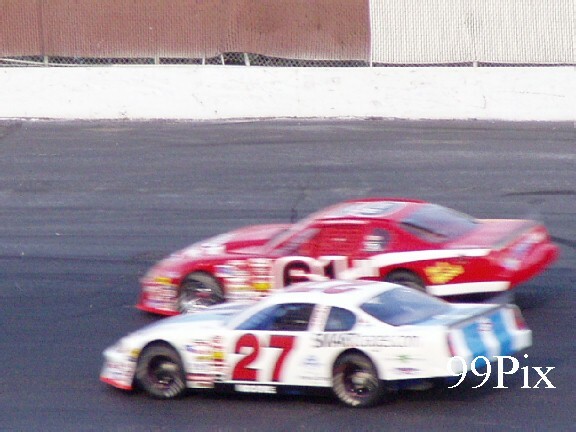 They were racing together in the top five when they came together on lap 110 in a accident that involved #62, Eric Holmes of Escalon and Ryan Foster of Anderson. Holmes, who survived two crashes to finish sixth, said the brothers were racing hard. "I saw that coming," Holmes said. "I didn't think it would really happen because they're brothers, but I saw it coming." 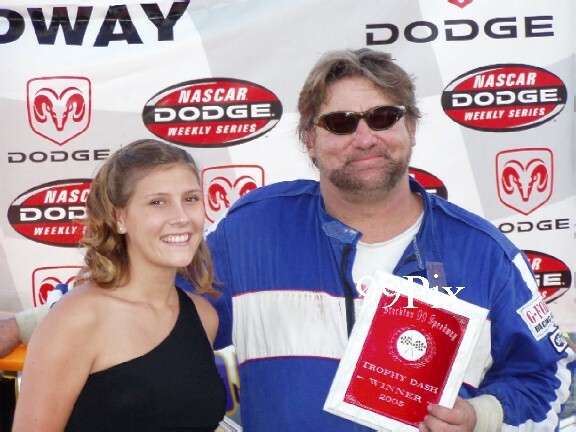 "Just a racing accident," Steve Belletto said. "It was unfortunate, but it just happened." Vidovich collected $3,400 for his victory. With seven races left in the 15-race series, Pettit leads Lamar 1,262-1,188 in points, and Vidovich is third at 1,176. STOCKTON -- It was as easy as it looked for John Mooore. 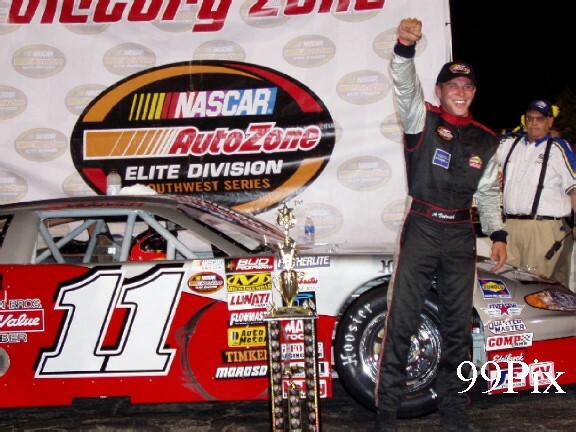 Moore, #27, started in front of the NASCAR Western Late Model main event, ran 50 laps without a caution flag and cruised to his fifth victory of the season on "double points night" at Stockton 99 Speedway on Saturday. The Granite Bay driver retained his lead in the WLM points race with #5, Pete Anderson Jr. of Stockton four points behind him 626-622. Allison Duncan, #20, of San Rafael suffered handling problems and fell 30 points off the lead. 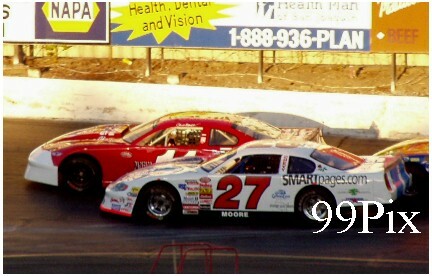 Moore qualified sixth and officially lost his lead before the main event to Anderson, who picked up points in qualifying and the trophy dash. 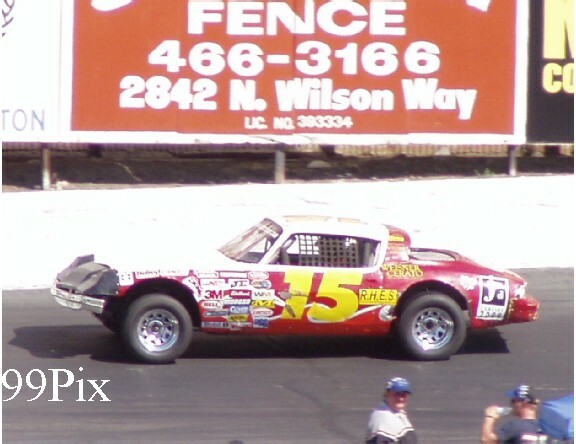 But the top six cars were inverted at the start of the main event, putting Moore on the pole. No one else led the race. "The car just drove itself," Moore said. "I said before the race that we had the car to win. It just ran great." 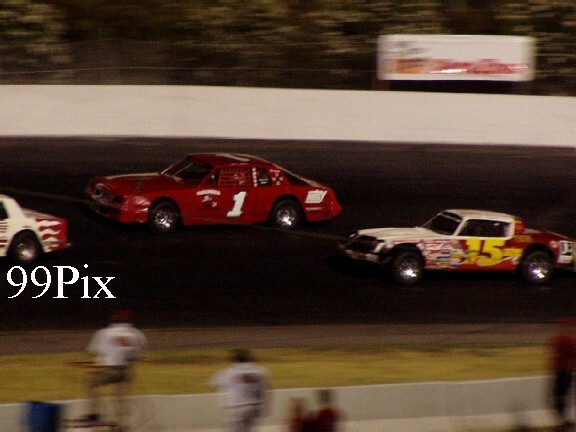 Moore beat Shannon Mansch, #61, of Roseville on the start and just kept turning left. There were no problems or yellow flags, which didn't surprise Moore. 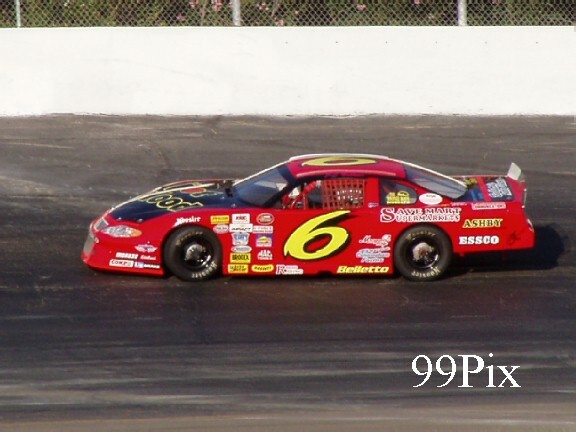 Gary Shafer Jr., #6, of Stockton was second. Anderson was third. 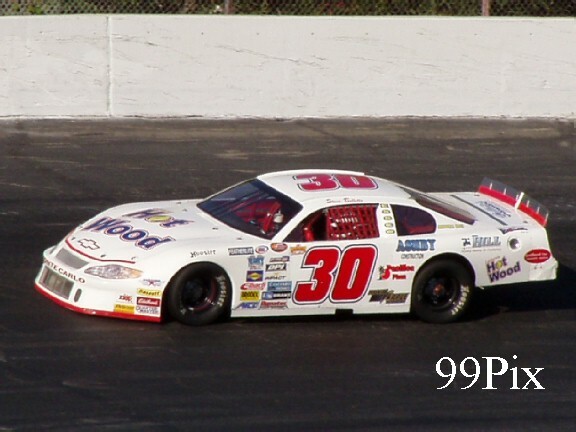 Duncan came into the night 11 points behind Moore but is third at 596 after finishing seventh. She has had steering problems in recent races, and it was a major obstacle on Saturday. 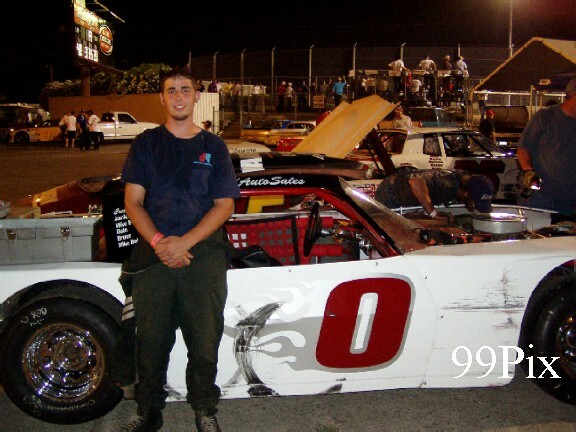 In CL BRYANT American Limited Stock Car racing Stockton's #0, Mike Brooks Jr. won his first main event of the season. A total invert placed Brooks Jr. in a fourth place starting slot. 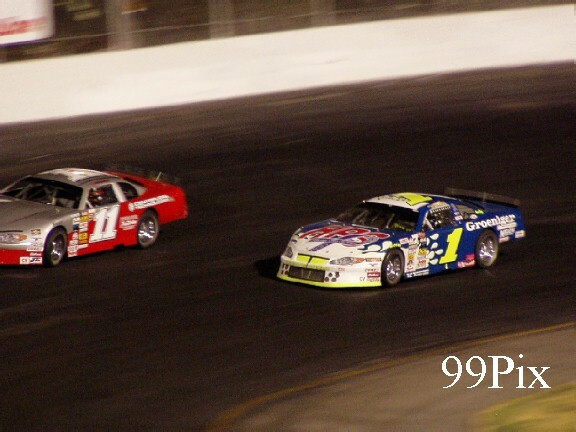 He quickly jumped in front of Stockton's Ross Strmiska to grab the second place position, following the lap-10 restart he grabbed the lead and didn't let it go. 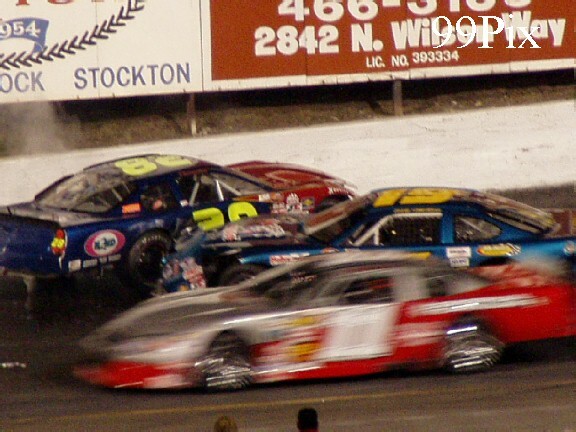 The invert really shook up the field Saturday night. It sent fast-time qualifier #1, Joe Allen, of Stockton, and points leader Charlie Clawson, #15, of Modesto, to the back of the pack. Just in front of them was track fast-time record holder Donny Darter and consistent front-runner Chad Holman, both of Stockton. 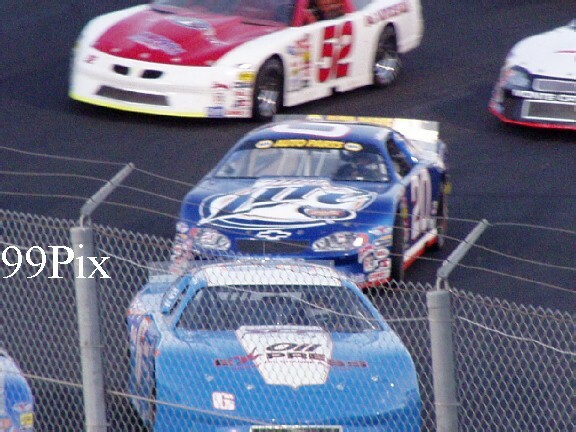 By lap-22 Holman, Clawson and Allen had worked their ways through the field to the second, third and fourth positions. 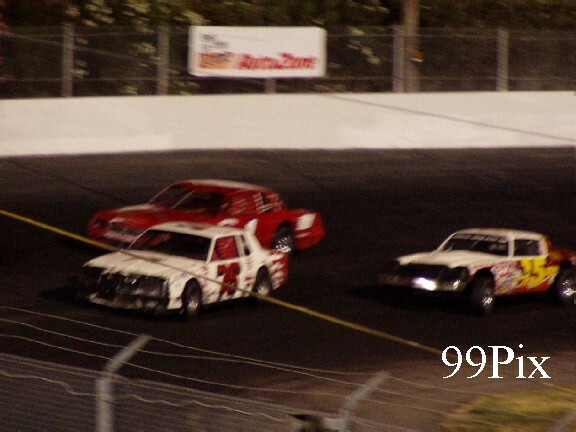 On the final lap, Clawson made a risky inside move on turn-2 and pulled ahead of Holman, taking the second place position behind Brooks Jr.
Clawson ended up in second, Holman finished third, Allen came in fourth and Stockton's Dave Ball rounded out the top five. Six competitors raced in the B-main. 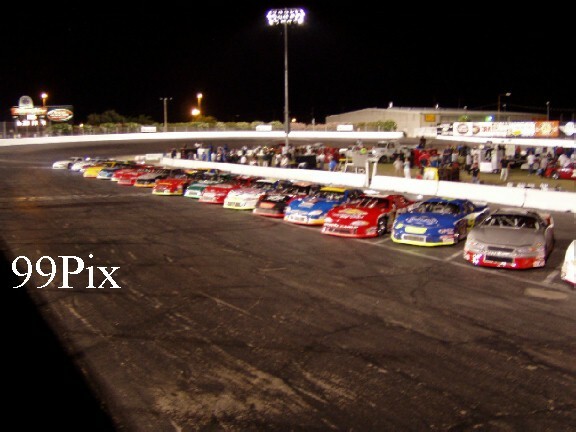 Top four finishers Robert Daniel, #17, David Anadon, Samantha Haeseker and Scott Lutz transferred into the 20-car main. In the dash Joe Allen took first, followed by Holman then Darter and Clawson. 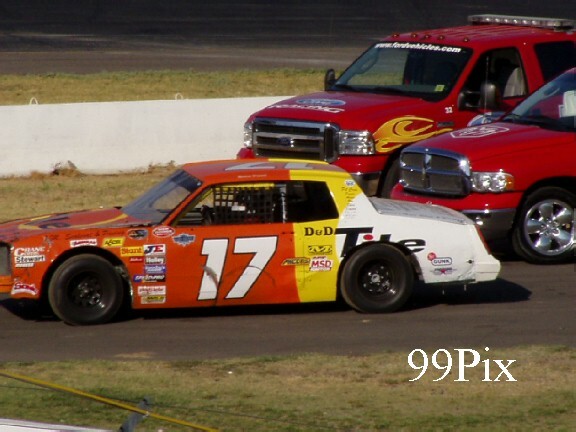 The super-mini Pro-4 Truck drivers again ran a clean, caution free race. 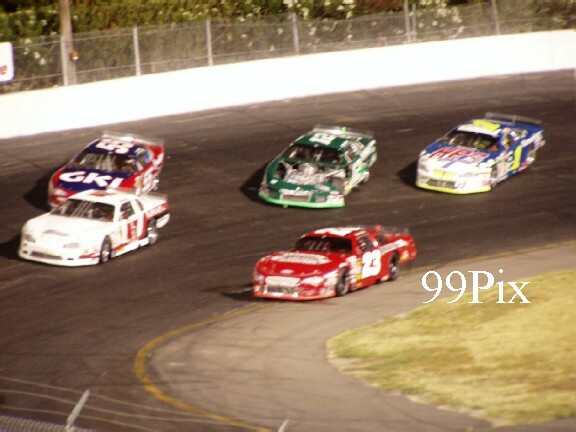 Lodi's #48, Mike Curry took the checkered flag, followed by Milpitas' #3, Ron Robeck, (Trophy Dash winner), Ripon's Tim Fernandes Jr., Oakdale's Nathan McNeil and Manteca's Brian Hitchcock who rounded out the top five. The future stars of the California Mini Racing Association Mini Cups were back on the track for a 30-lap main event. Manteca's #16, Jacob Gomes won again. Robert Czub took second, Chris Olivera placed third, Morgan Cooksey came in fourth and Cody Armstrong placed fifth.